Ro Bailey is a civil wedding celebrant in Melbourne. If you decide to make the next step and make a lifelong commitment to your partner to move their relationship to a higher level, you can consider to establish a celebrant or minister to perform the wedding ceremony. With the high costs involved in the ceremonies of the church, you will discover that it is much cheaper with the option of going to a celebrant, and not like a wedding celebrated in a church or cathedral. You will also have the freedom to decide how to proceed. 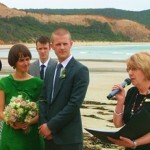 Choosing a reliable and professional civil wedding celebrant in Melbourne. Another advantage is that you can completely customize your wedding ceremony. This is a privilege you can’t have with a church ceremony because you may need to follow the format that the Minister has directed. For a more creative and personal share in the ceremony of your partner, and their guests, you may choose a civil ceremony. Additionally, you can choose the location of the very significant event. If you’ve dreamed of holding it in a garden, a castle, with a roof, aboard a ship, or whatever suits your tastes, you can do just that. Ro Bailey is ready to travel and ceremonies administered parks and public gardens, on the beach, in the classroom and in private backyards as well as more formal setting.